Even if WhatsApp, Facebook messenger, and Google Hangouts have taken all over texting and calling ideas at free, there is still a need of SMS service for many of us. Just because many people do not need to use hi-fi smartphones or the internet packs often on their mobiles precisely, a simple online connection on their work PC serves better option to reach someone quickly. With this, an SMS still retain itself as a definitely preferred option to reach in an emergency. 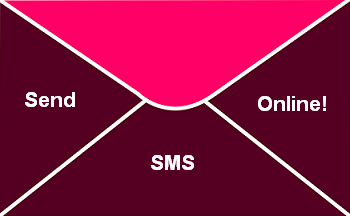 SMS delivery can be confirmed when you have difficulty to call someone or your call is not getting attended. SMS is a solid proof. You can surely use them to send free SMS quickly. Here are some best options available to avail free SMS services through PC. 160by2.com – It is popular and allows 80 characters long message to users as well as advertisers and hence called as 160by2.com. More than 1 million users use this service. Way2Sms.com - It is widely used by lacs of users daily. It allows great 92 characters long message and supports email alerts to the user. Indyarocks.com - Basically it is a social networking site. The great thing is it allows as good as 140 characters message to send. Google SMS channel - You could have sent free SMS from your registered phone number. Unfortunately, this service by Google is stopped. Ibibo.com - isms.ibibo.com service allows users to link their mobiles to their account. You can send SMS with as good as 300 characters long and also make free phone calls. Atrochatro.com - It offers free SMS service all over India. Get a free cool collection of SMS, E-cards, News and Games etc. Youmint.com - Allows users to send up to 160 characters long SMS. You get rewards and cash earns through various attractive schemes. They call it India's No.1 rewards site. Smsgupshup.com - Social messaging service allows free SMS to send to friends and to anyone. It has quite a professional touch and has attractive features. SMSfi.com - It is online entertainment site with SMS, greetings, free videos, games and news features. Works pretty well and preferred by many users. FullonSMS.com – This is great Ad free SMS sending site. You do not need to worry about annoying ads all the time while you text your loving ones. You can send messages to groups as well. Ultoo.com - It has fast service with almost 3 to 10 seconds delivery time. It allows up to 140 characters to send and has a daily limit of 50 SMS per user.